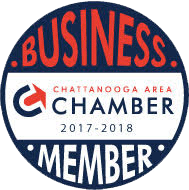 Wagner & Wagner Attorneys at Law is a full-service law firm located in Chattanooga, about one hour from Pikeville. 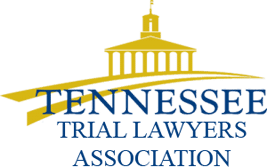 Our attorneys are Tennessee natives, active members of the community and are strong advocates of injury, business and probate law clients. We are good, honest, hard-working people who want to get you the legal results you need and deserve. Cars. We have seen countless tragic cases involving rear-end collisions, sideswipe, head-on crashes and many other types of car accidents on Route 127, Route 30 and other Pikeville roads. 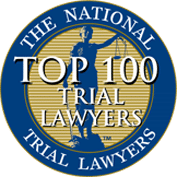 Whether you incurred a spinal cord injury or other serious harm, our attorneys are here to help you obtain full and fair compensation. Trucks. Truck accidents can be major disasters. You may be suffering from irreversible medical harm after a bad crash. Our attorneys represent your best interests against negligent truckers and the companies that employ them. Motorcycles. Injured motorcyclists are susceptible to traumatic brain injuries and even wrongful death. Even a small collision can be tragically fatal. After a motorcycle accident, our firm works to hold reckless drivers accountable for your injuries. Pedestrians and bicyclists. A pedestrian or cyclist who is hit by an oncoming car is in serious danger of sustaining terrible injuries. If you were injured in a pedestrian accident or bicycle accident, let our firm give you proper legal representation. Buses and trains. When you are riding mass transit, you expect the driver to be well-trained and safe. When that does not happen and you are injured as a result, a lawyer can protect your best interests after a bus accident or a train accident. Defective products. In the area of product liability law, those injured by a defective product can potentially pursue a legal claim. Let us help you decide whether to take legal action after you incurred injuries from a dangerous drug or faulty consumer product. Slip and fall accidents. If dangerous circumstances cause you to slip and fall and you sustain injuries, you may be able to file a claim against a negligent property owner. You can work with your attorney to prove that the owner failed to keep the premises safe. Nursing home abuse. In the event your loved one is neglected, physically harmed, sexually assault or emotionally abused in a nursing home, our attorneys seek aggressive legal action. Those who prey on elderly and ill patients must be held accountable. Wrongful death. If your loved one was killed because of the negligence of another person, we can help you file a wrongful death claim. We know that no amount of money will ever bring your loved one back, but we believe that those who are negligent should be held accountable for their actions. Regardless of who was at fault, anyone with a work-related injury deserves workers’ compensation. Yet, obtaining benefits is not always that simple. Sometimes, legal help is required. The Pikeville workers’ compensation lawyers of Wagner & Wagner offer assistance after construction accidents, industrial accidents and more. We can even help you obtain permanent disability benefits or Social Security Disability benefits when appropriate. The Pikeville Police Department can be reached at (423) 447-2585 and the Department is located at 48 City Hall Street. You can find more information on the Bledsoe County website. How far is Pikeville from Chattanooga? It is 56 miles away, according to Distance-Cities.com. To meet us in our main office, please call today at 423-799-3532 or fill out a contact form. If you have been in an accident or suffered another legal crisis, you surely have many questions and concerns. Let the personal injury lawyers at Wagner & Wagner Attorneys at Law give you all the answers you need.